The campaign aims to contribute to the Bonn Challenge, a global effort to restore 150 mn ha of deforestation and degraded land. Karachi: Between 2000 and 2010, Pakistan lost an average of 43,000 hectares of forests per year, equivalent to half the size of the capital city, Islamabad. With only 2 per cent of forest cover remaining, the country’s deforestation rate is the highest in Asia, and forest cover is well below the recommended cover of 25 per cent. To mitigate the adverse impacts of climate change, regulate water cycles and increase green cover across the country, WWF-Pakistan has pledged to plant a total of 1.4 million trees by August 2019 through active participation of different stakeholders, local communities and passionate individuals. The campaign, titled Rung Do Pakistan, is an opportunity for all Pakistanis to come together and play their part in contributing positively towards protecting our ecosystem and to help WWF-Pakistan either by planting native tree species wherever they are or donating to the organization so that it may fulfil its promise to the nation. Khan further shared that WWF-Pakistan is stressing on only planting indigenous trees, which not only provide a shelter to various birds and insect species but benefit local ecosystems as well. He also appealed to citizens to plant more trees this year and help raise awareness about this cause. Pakistan is among the top ten countries affected by climate change and one of the simplest actions citizens can take is to help increase the forest cover of our country, one tree at a time. Through this campaign, WWF-Pakistan aims to contribute to the Bonn Challenge, a global effort to bring 150 million hectares of the world’s deforested and degraded land into restoration by 2020, and 350 million hectares by 2030. It is expected that 1.4 million trees at maturity will sequester 70 million pounds of atmospheric carbon dioxide. It is also estimated that the raising of 1.4 million plants from potted plants, cutting and sowing will generate 8,750 man-days of employment for local people and 1,400 hectares of forest cover will recharge about 1,344 million litres of water annually. In the first phase of the campaign, WWF-Pakistan and Call the Band, WWF-Pakistan’s Goodwill Ambassadors, are partnering for one of the country’s biggest videographer collaboration in history. The music video showcases the diversity of Pakistan and encourages individual action to plant trees across Pakistan. To date, a total of 70 cities and villages with 50 videographers are on board. Supporters are already sending in photos of themselves planting saplings with the hashtag #MarkYourselfGreen and are nominating their friends and family to do the same encouraging others to participate in the campaign as well. In the second phase of the Rung Do Pakistan campaign, WWF-Pakistan will launch its fundraising campaign and is encouraging individuals, corporates and partners to donate to the cause. Inspired by this nationwide campaign, PTCL has pledged to contribute 200,000 mangrove saplings, JS Bank will provide 20,000 saplings and Habitt Home Store will provide 10,000 saplings. While, Daraz.pk and Careem will contribute by raising funds through their businesses and Tune.pk and Latitude CRS will support the campaign through their promotions. Moreover, Sybrid Pvt. Ltd, Orix Modaraba, Vulture Dive, BASF, Dolmen Mall, Giraffe and FM 91 have also come on board with a commitment to the plantation. What sets this campaign apart from other planting campaigns is the focus on post-care for the initial three years that saplings are planted, which is critical for their survival. WWF-Pakistan will also monitor and ensure proper maintenance of saplings planted and will monitor progress through fixed point photography so that plantations have a measurable and real impact. About WWF-Pakistan: WWF-Pakistan was formed in 1970 to address the growing environmental and conservation issues in Pakistan that not only affected the flora and fauna, but were also affecting the human population. WWF-Pakistan is a non-profit organization, working to preserve, conserve and save our environment and natural resources. Today, WWF -Pakistan works through 26 offices with a team of almost 250 dedicated staff members. With its head office in Lahore, and five regional offices in major cities of Pakistan, it has project offices wherever there is a need and the potential to make a difference. 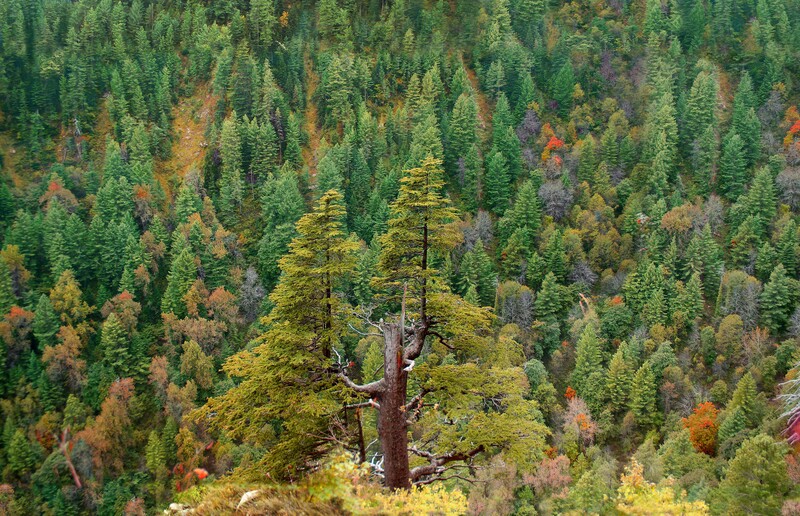 Ayubia National Park in Nathiagali. 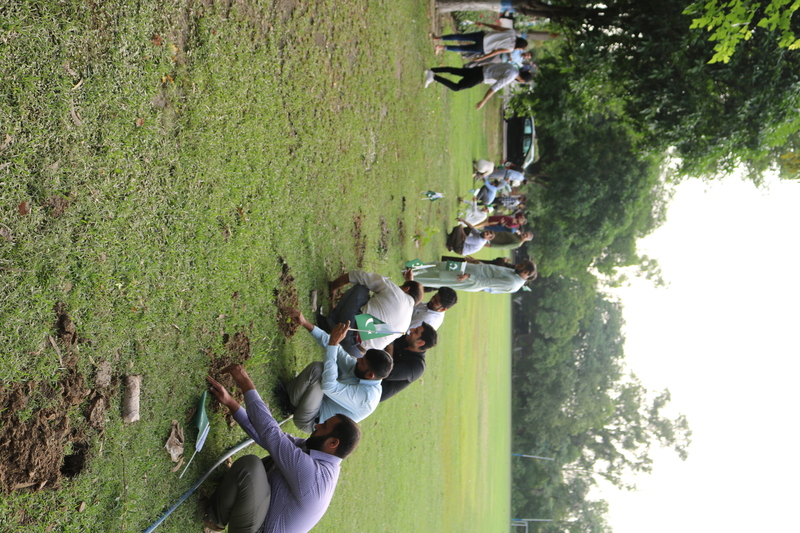 WWF-Pakistan employees plant trees in Lahore on Pakistan's Independence Day.